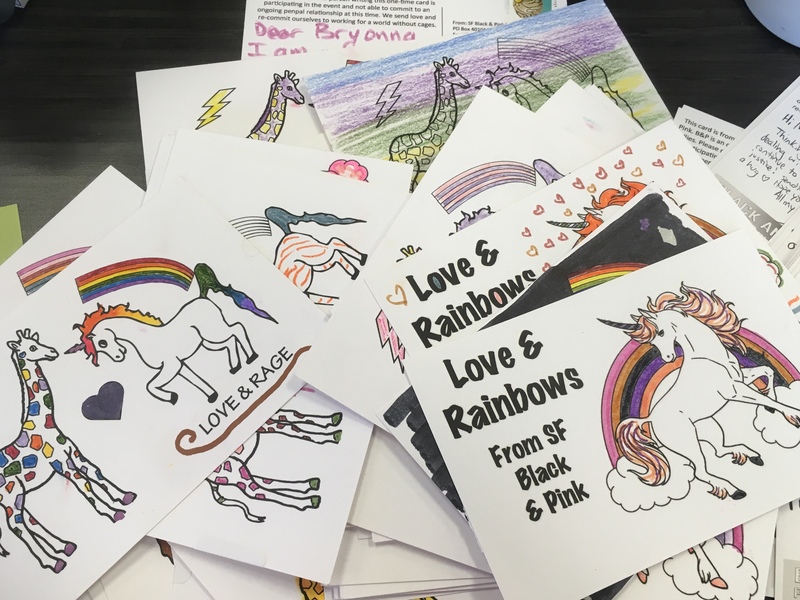 Join Flying Over Walls – SF Bay Area B&P for our Monthly Letterwriting Night! 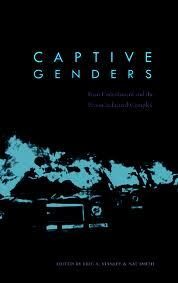 This month, in addition to letterwriting, our discussion will focus on our place and strategies in the larger movement, in light of an invitation we received to join a roundtable of LGBT2IQ prison penpal projects for the International Conference on Penal Abolition (ICOPA) on June 13-15 in Ottawa, Canada on Algonquin territory. No matter which way you choose to go, this is a simple way to brighten someone’s day in prison. Prisons are very lonely, isolating, and disconnected places so any sort of bridge, supportive human contact from the outside world is a powerful method of solidarity & is greatly appreciated. As always, we’ll have some basic supplies, but feel free to bring pens, markers, paper, envelopes, watercolors, pencils, stamps or a small donation toward supplies. Please do NOT bring any stickers, glues, glitters or adhesives. Prison is a f**ed up place to be. 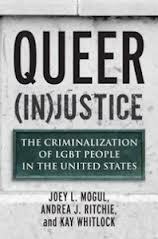 And queer/trans communities are disproportionately criminalized. And making a real life connection based in friendship, support and solidarity with someone behind bars is one of the most important ways to fight the prison and criminalization systems, which are *designed* to isolate folks from their families and communities. I know it’s short notice, but we’re trying to get monthly letterwriting nights going again by exploring new venues for the next few months. Please stop by anytime to pick up your letter, write a letter, pick out a new penpal, bring a friend, share an idea or have a bite!! Flying Over Walls will be hosting 2 holiday card-making events to benefit Black & Pink, as part of their Multi-City Holiday Card Party!! 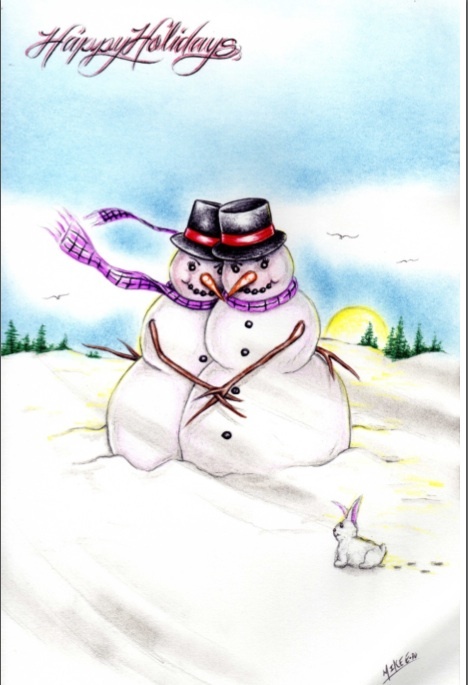 The holidays can be a challenging and lonely time when you’re locked up, so help us send some cards to member of our queer/trans community who are incarcerated in and around the SF Bay Area. We’ll have paper, fun ink stamps and other permitted supplies as well as info and ways to get involved. Bring some change to help with postage and anything you’d like to donate to B&P. San Francisco: Sunday December 15 3-8pm at El Rio as part of the ‘Homo for the Holidays’ Queer Craft Bonanza! North Oakland: Monday December 16 6-8pm. Email flyingoverwalls [at] gmail.com for Location/Details. Email flyingoverwalls@gmail.com with any questions or if you want to volunteer to help at either event! Please help us spread the word – we are putting out a call and forming a Queer/Abolition Bay Area Study Group. It will likely look like a group of 5-10 folks who are invested in deepening their critical and intersectional understanding of the prison industrial complex and prison abolition frameworks as they relate to queer/trans bodies and identities. We will meet one Sunday afternoon/evening a month for a few hours (likely on 1st Sundays, except around the holidays – but this is negotiable) from about September through January (alternating meeting in east Bay and SF living rooms). We’ll hopefully do it dinner or potluck style and keep it casual. In our first meeting, or prior to it, we will collectively create a structure around readings/films/lectures that we want to use for our discussions and everyone will have a chance to propose material and/or co-facilitate a discussion group. We ask for a 5-month commitment, and we can decide in January if we’d like to keep meeting. 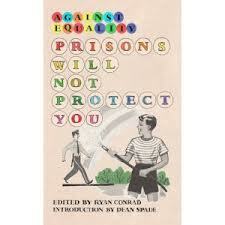 This study group will be held in conjunction with prisoner letterwriting times – an hour prior to every study group will be open for anyone in the community that would like to connect to a queer/trans prisoner penpal. We will hold orientations for new folks at this time and wrap up prior to the study group starting. Study group members would be welcome to come early to join letterwriting times, but not required. If you are interested in joining or learning more, please contact flyingoverwalls@gmail.com by August 25-ish. Let us know: what interests you about this group, any potential readings you would like to suggest (articles, blogs, book excerpts, videos) and whether one Sunday evening a month would work for your schedule (and, if not, what days of the week/month would work for you). Please forward out to others. 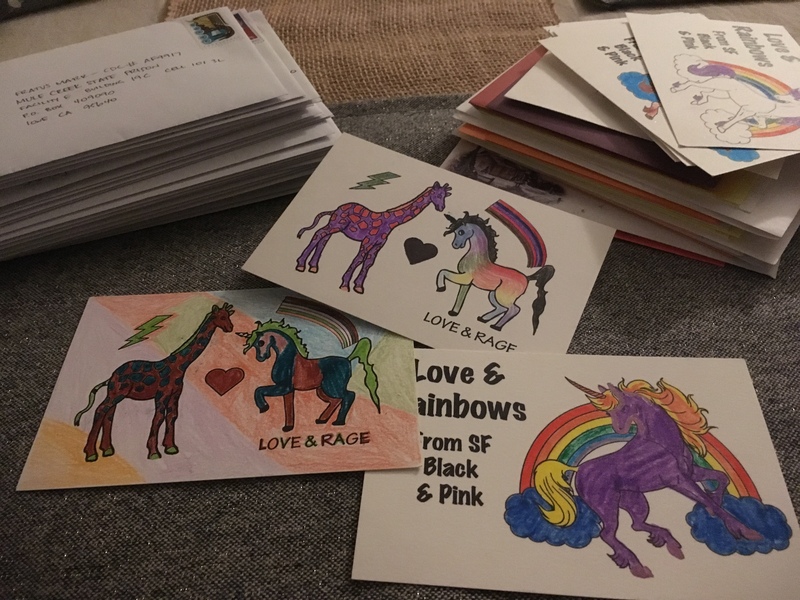 7/29 – Queer/Trans Prisoner Solidarity Letterwriting Night! After a not so brief hiatus, we’re picking back up with monthly letterwriting nights. It’s gonna get revamped a little bit, including a 5 month study group, but more on that in a future email. For now, we decided to get a casual night together just to re-connect and get some new folks matched up! If you have a penpal already, please join us to check in and share how things are going. Bring past letters if you’d like to share something powerful or painful. If you (or someone you know) is interested in getting matched to a penpal, pleeease come (and invite them)! 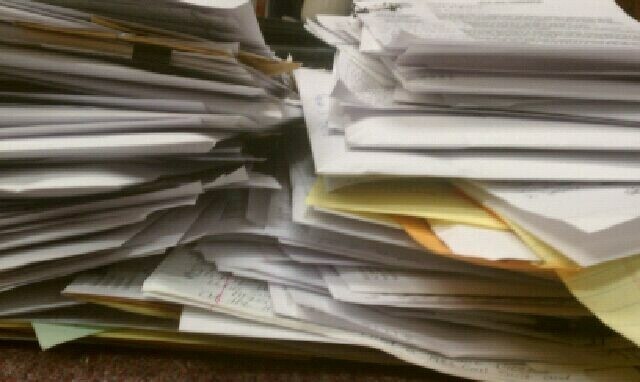 We have about 20 letters to match. We’ll have an orientation to review guidelines for becoming a penpal and look through the letters of potential queer & trans penpals. If you just want to join the fun and spark discussion, we’ll bring the political prisoner birthday list so you can send a one-time card. We’ll have paper, cards, envelopes, stamps/ink (that we all made in Paper’s stampmaking workshop!) and other art supplies. And why do we do this? Because prison is a f**ed up place to be. And queer/trans communities are disproportionately criminalized. And making a real life connection based in friendship, support and solidarity with someone behind bars is one of the most important ways to fight the prison and criminalization systems, which are *designed* to isolate folks from their families and communities. Bring snacks, bring your dinner, bring stamps or ink pads if you have em, bring a little cash to donate for postage. We won’t have a formal political ed discussion, but we can certainly get an informal one going!! Email flyingoverwalls@gmail.com with any questions or if you’re really stoked to host. Otherwise, it’ll probably be in Beja’s living room (which has 10 stairs and 2 pets). And please rsvp/invite folks on the facebook page. Tonight: our FIRST letters-to-prisoners night! Alright friends, HAVOQ is stepping it up. In addition to our monthly TGIJP legal support nights, we are officially embarking on a SECOND monthly letter writing event! Join us at Modern Times Bookstore for a choose your own adventure.. Adventure 1 – Choose a FOR REAL pen-pal. This is for those of you who want to start building relationships with folks behind bars. You can make it as personal or as political as you want, but it’s about learning the names and faces of real members of our queer family who are locked up inside the system – and being the kind of pen-pal that’s gonna stay in touch with them. Adventure 2 – Send some ONE-TIME love. This is for those of you who want to send a semi-anonymous but sincere or artistic or inspiring message as a sign of support – but without the ongoing commitment. It will still be a reminder to them and everyone else on their block that they have support and have not been forgotten. Whichever adventure you choose, we’ll have some basic supplies, but feel free to bring pens, markers, paper, envelopes, watercolors, pencils, stamps and a few bucks to cover postage for your letter(s). Please do NOT bring any stickers, glues, glitters or adhesives. These will get your letter returned to you. 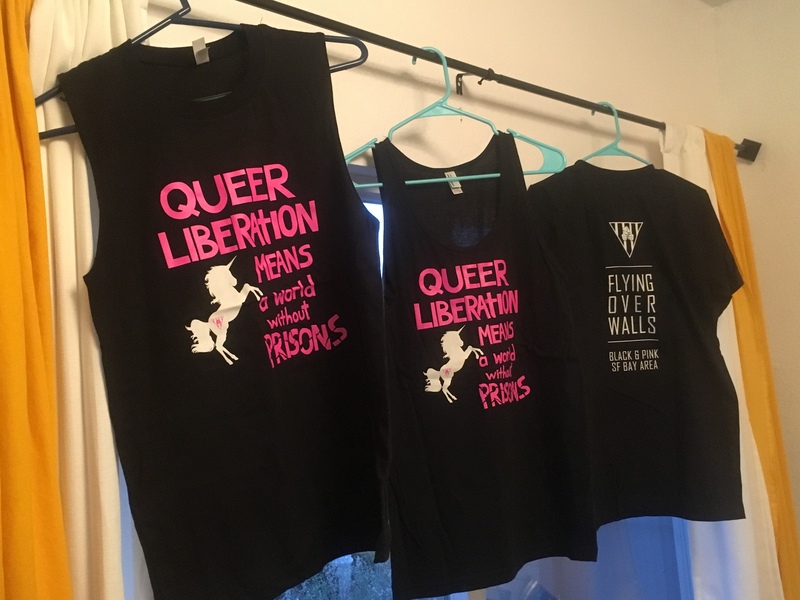 We’ll have names from Black & Pink’s Prison Penpal list and from the Montreal Prisoner Correspondence Project in order to support the work of these two amazing organizations. We’ll also have some readings and resources available. Facebook rsvp here and invite friends!